Darn it if I didn't find another challenge. If I keep going at this rate, I will have enough challenges to keep me busy on a daily pace! I must say, I am just a sucker for a photo challenge blog. ColourQ...what a neat place and cute concept. I might even like this one as much as the Runway Inspired Challenge, who by the way has a really exciting photo this week. No doubt I will try to come up with something good to appeal to my blog idols: Cristina, Laura, and Jen. If they only had Debby on their design team, I would be in blog heaven...sigh. Anyhoo, back to ColourQ challenge #125. I wonder if there has been 125 challenges and oh my, how many pretty pictures I have missed out on! This blog is eye candy, check it out here. super cute..i love birds:) thanks for joining us this week at the ColourQ!! Such a cute card, Wida, love your striped background and the birds. Thanks for joining us this week on the ColourQ and yes there have been 125 challenges! 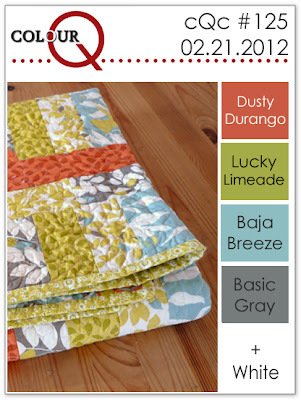 Go back and take a look and find some inspiring color combo's! 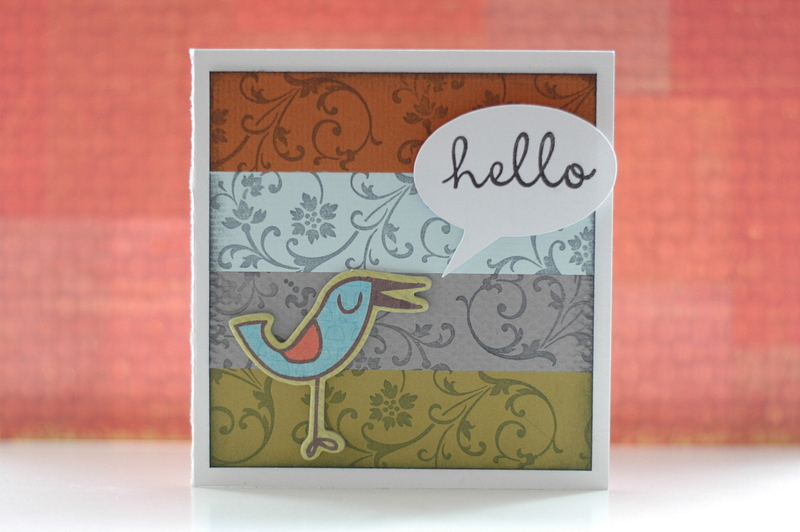 adorable card, Wida, and I reckon you WILL need to add a "recognition" page to your blog! you are very talented!! This is one of my favs!!! Well done my friend! I just HAVE to smile when I look at your card! And Laura is right- you will certainly need a page devoted to what will likely be many future challenge wins! love the colors Wida, this is a great card! Wida, we're glad you found us and shared this sweet little creation with us! Thanks for playing with the CQC colors this week! 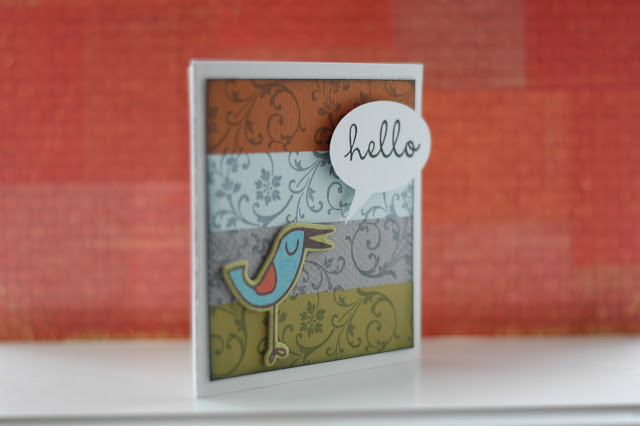 Sweet birdie, love your card. Hi Wida, love your beautiful card! YES - I have put up 125 challenges - how wild is that?!? Thank you so much for joining us at colourQ this week, so happy you found us! Love your card Wida! In my faves TFS!